Jesus was well-known for speaking if figures of speech, which the disciples bluntly state in John 16:29, "Yes, now you are speaking plainly, not in any figure of speech." However, to what extent did Jesus speak in figures of speech? First of All, What are Figures of Speech? Figures of speech are literary tools used to communicate more effectively, and they are often heavily dependent on culture. For example, to communicate that someone thinks they are special, a speaker might say they think they are "all that, and a bag of chips" (US-English) or they think they are "God's gift to the world" (US) or in Spanish (Mexico) they think they are "the last Coca-cola in the desert." This particular figure of speech is called an idiom, where the interpreted meaning is different than the literal meaning of the words themselves. The person does not literally believe they are a bag of chips or a Coca-cola; rather, they think they are special. Each culture will have their own way of communicating this idea, and it may seem weird to someone from a different culture. Jesus also used idioms, which is when the understood meaning of the words are not the same of the literal meaning. As an additional example of an idiom, in order to communicate "telling a secret" someone might say "spill the beans" (US) or "let the cat out of the bag" (US) or "to leak" (UK). The speaker doesn't literally mean to spill beans, let a cat out of a bag, or to leak. They mean "tell a secret." An example of Jesus using idioms is in Luke 14:26, when Jesus says, "Whoever comes to me and does not hate father and mother, wife and children, brothers and sisters, yes, and even life itself, cannot be my disciple." 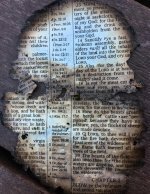 While Jesus is recorded as using the word hate in Luke 14:26, we can see that his actual meaning differs from the literal meaning of the words. Jesus is referring to loving others more than him. In addition, if Jesus literally means hate, then he is contradicting everything else he has taught. However, Matthew 10:37 above clarifies what Jesus means. Likewise, Jesus does not literally mean that we should forgive only until the 78th time. Rather he means we should forgive as many times as necessary. Peter is proposing what he thinks is a large number of times to forgive someone. Jesus then proposes a significantly larger number to communicate: as many times as necessary. For Matthew 5:29, Jesus also does not literally mean we should mutilate our bodies to prevent sin. Our bodies do not cause sin; rather our selfishness causes sin. Jesus is not advocating mutilation of the body, and Paul opposes this idea in Colossians 2:23 saying that "severe treatment of the body" has "no value in checking self-indulgence." Similar to much of what Jesus teaches, he speaks often about the spiritual when he discusses the physical. 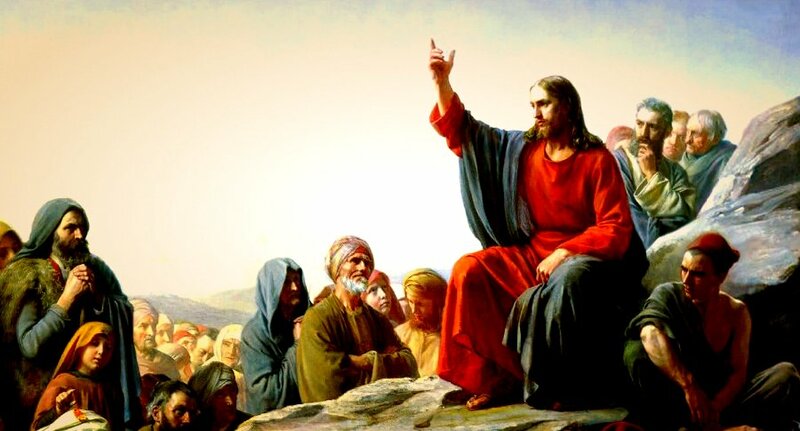 Even while Jesus was sinless and perfect, he used figures of speech to more effectively communicate to his audience. This reveals a characteristic of God's love, that he communicates to us in ways we will understand. God is omniscient, which means that he understands everything, including all cultures and cultural meanings. Often figures of speech are able to communicate messages with more power than using words with literal meanings. The visual created by the figure of speech delivers a much more powerful message. The idea of swallowing a camel compared to straining out a tiny insect highlights the disparity between the parts of the law the Pharisees chose to keep versus the parts of the law they neglected. ← Back to Teach the Gospel of Jesus Christ from Did Jesus Exaggerate?